One of the most relaxing things I have found over the years, is spending time with my family and my horse out of doors. 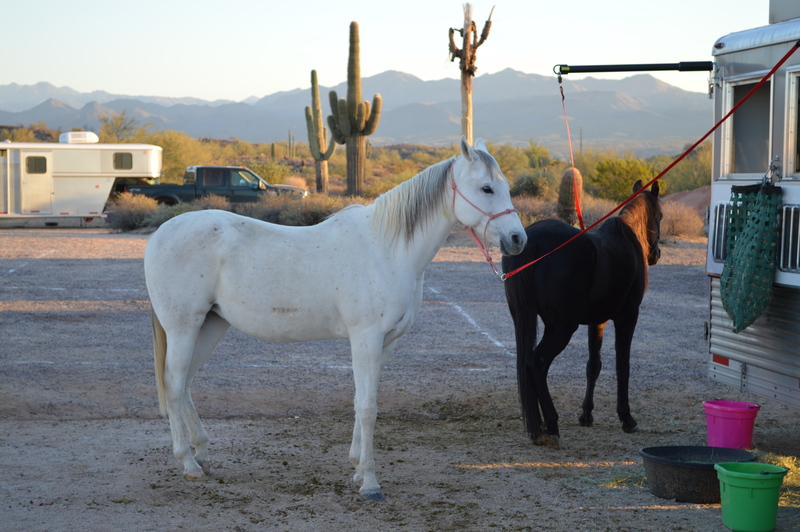 Each year the American Endurance Ride Conference and the Arabian Horse Association sponsors a number of Endurance Rides around the state of Arizona. This weekend was the “Lead, Follow or Get Out of My Way” ride at McDowell Mountain Park. It featured 75 mile, 50 mile, 30 mile & 12 mile rides. 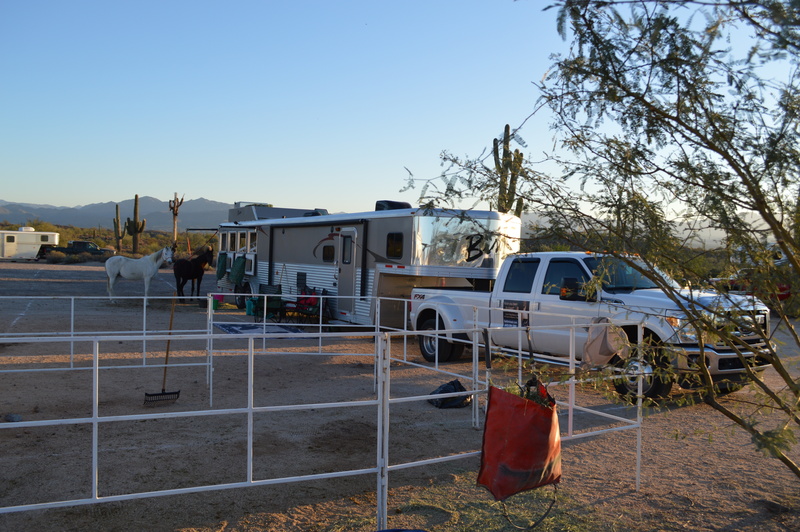 So, we packed up the trailer, loaded the horses and crossed the valley to the beautiful park. We camped overnight, and this morning, got up and went for the 12 mile “Fun Ride.” I have to say, that we live in some beautiful country. We have been blessed with the opportunity to care for and enjoy some of God’s most amazing creatures. . . the horse. This is Bailey . . . he’s my trusted steed. 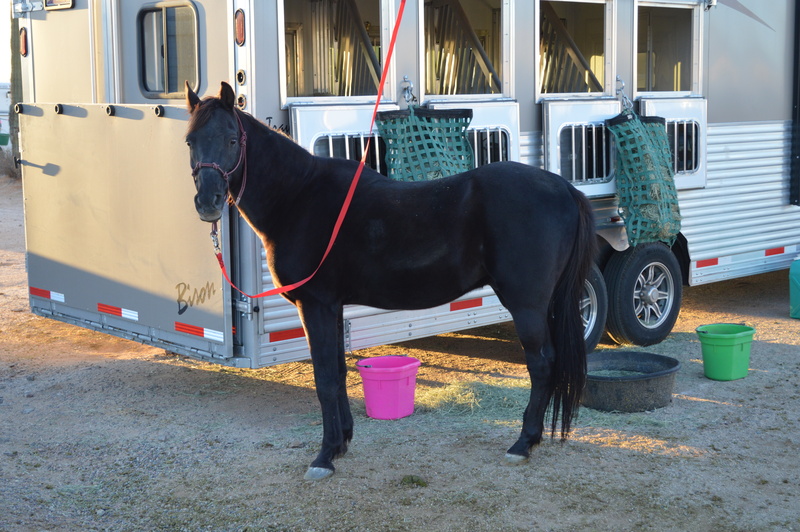 Seeing that his owner is always working and struggles to find time for a good ride, he patiently looks forward to these adventures away from the paddock. Bailey, keeping a close eye on the sun rise. 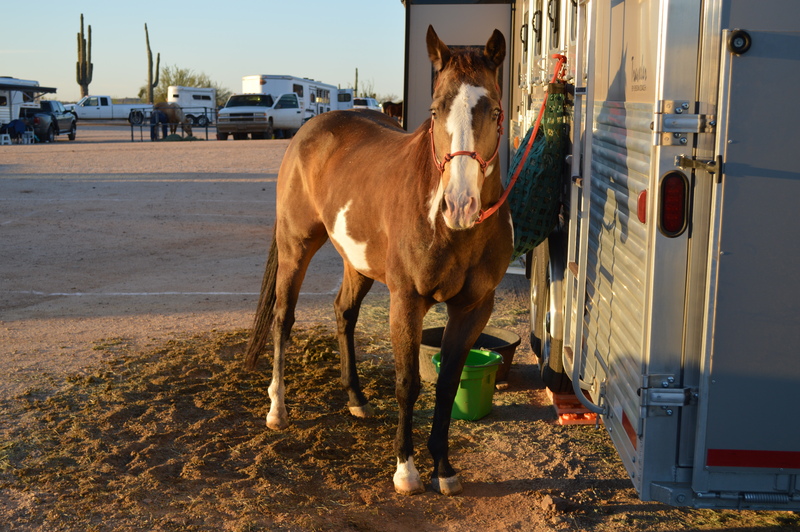 I rode with my wife and daughter who were carried gracefully across the desert by the beautiful Jazz. . .
And, the very magical Houdini . 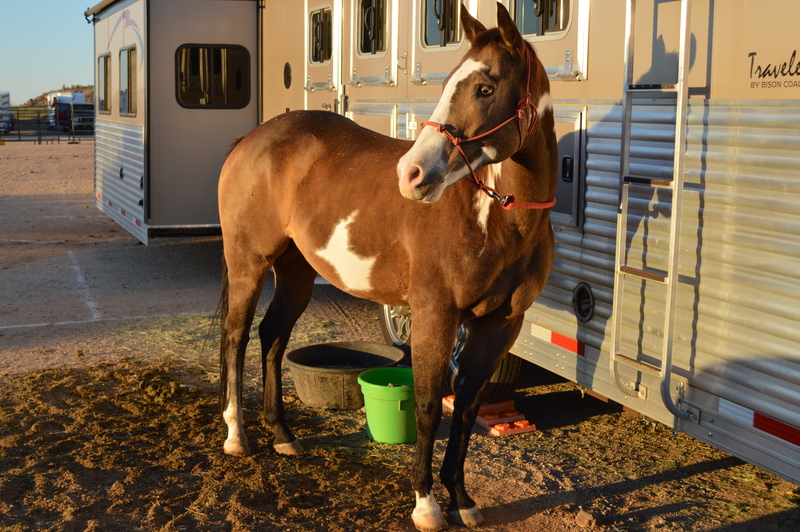 . .
Getting up this morning to the crisp Arizona desert air and and the smell of saddle leather makes you really appreciate the Old West and the simple life. It was a fantastic ride and a trail that I look forward to riding again.